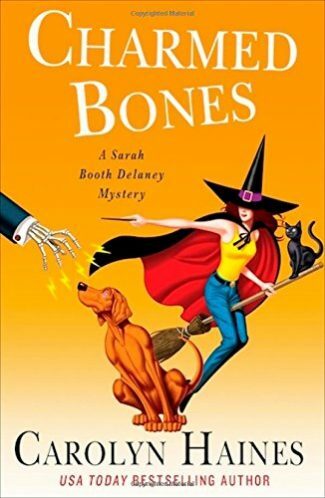 Charmed Bones by Carolyn Haines is the 18th book in the Sarah Booth Delaney Mystery series. I push back against the sofa as the hair on Sweetie Pie’s back bristles. She barks and growls. Pluto, on the other hand, jumps from the sofa and saunters toward the witch. “Away with you.” The witch waves the broomstick at Pluto, but the cat is not deterred. I realize then that Jitty, the resident ghost of my family plantation, has come to devil me again. This is no manifestation from Oz, but the spirit of a former slave who survived the Civil War with my ancestor, Alice Delaney. She is both blessing and curse. Most of the time, I am not sure what Jitty’s appearances mean. I always wonder whether she is actually trying to give Sarah Booth a message. So when Jitty pops in as a witch, it could be a symbol of an imminent problem or, just as often, she is being deliberately irritating in a bid for attention to distract Sarah Booth. “Now if they were into voodoo, he might be a great human sacrifice,” I said, draining my martini. I’d had enough of her company. Her check might be good but her soul was rotten. To the core. 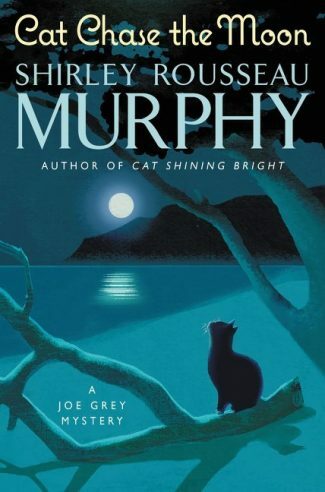 Of course, looking for Corey leads Sarah Booth and Tinkie to the Harrington sisters, who Kitten is certain are bona fide witches. And yet, the Harringtons turn out to be surprisingly helpful in finding Corey—but then the real mystery begins. Charmed Bones is the 18th book in the freewheeling Sarah Booth Delaney series. Did I mention I have read every single one of them? That’s because Sarah Booth, her best friend Tinkie Bellcase Richmond, and the sometimes annoying but exceptionally crafty Civil War-era ghost Jitty are always laugh-out-loud funny, each and every time I follow one of their adventures. So hurry up and grab a copy of Charmed Bones. You don’t want to miss a single minute of their latest escapade. And I will give you this one hint: there are so many twists and turns that I can promise you that when you think the mystery is solved—it is not. Read an excerpt from Charmed Bones while sipping a “Warmed Bones” cocktail, inspired by Carolyn Haines’s 18th Sarah Booth Delaney Mystery! 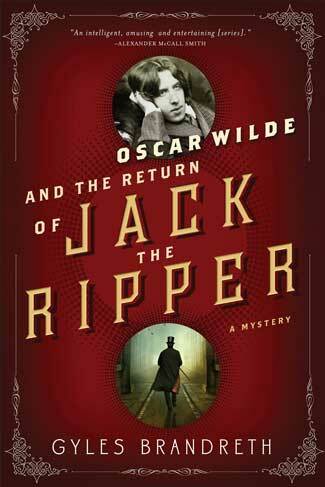 I really need to read this series, always such wonderful reviews! Hi Rhonda, you really do need to read this series. The characters are always entertaining. Jitty is laugh-out-loud, over-the-top funny. 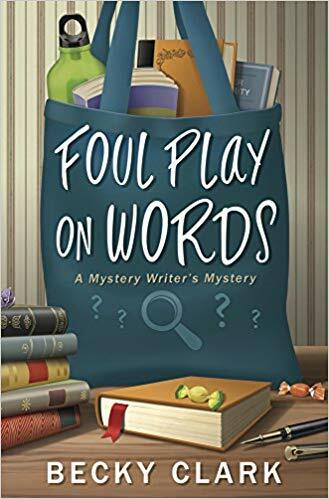 And Carolyn Haines has a way with plot lines! You can start the series on any book and have a fabulous time! Thanks for reading my review.